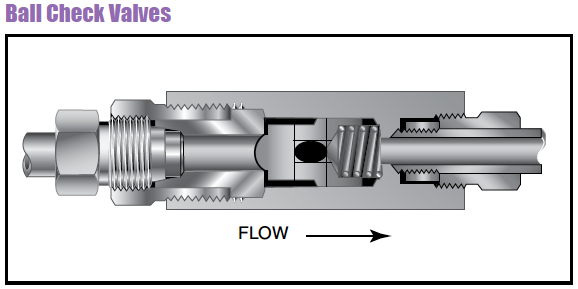 Prevents reverse flow where leak-tight shutoff is not mandatory. When differential drops below cracking pressure, valve closes. With all-metal components, valve can be used up to 1200F.